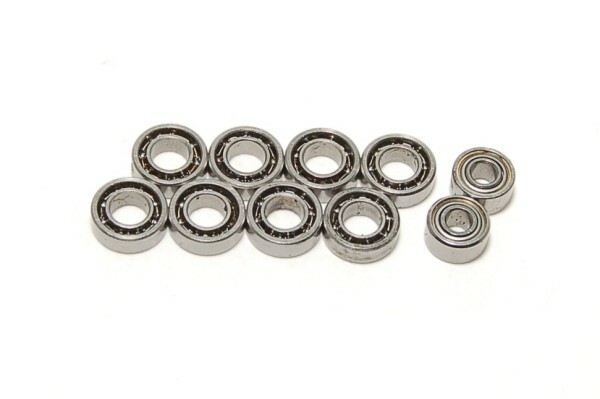 PN Mini-Z MA-010 Ball Bearing Set - 10PCS. Points Earn 12 points when you buy this product! Hi everybody! Today I will review this AWESOME set of bearings from PN Racing. This kit includes all you need to upgrade, including the bearings for the driveshaft. Installation is easy, but still may be time consuming for some, especially the driveshaft bearings, but nonetheless it is a good product. There are people online who don't particularly like these, but maybe they got a bad batch, as these are used by those in howfastareyou. (google it) They provide smooth movement, and if anything, keep it quiet. A good buy at this price, no wonder they're out of stock as I write this!